Freemasonry’s past is unknown – and, at this point in time – likely will remain so forever. There are many theories as to its origin, often intertwining with various philosophical movements in vogue during the middle ages. We know, for example, that there were Masonic lodges in existence during the 1600s but whether they were similar to what we know as Freemasonry today is highly suspect. We know too that the Master Mason degree was ‘attached’ to Freemasonry after the formation of the first Grand Lodge (in England in 1717) and that in at least some places, this degree featured Noah and the Ark. Several Masonic scholars and others have argued strongly that there was a strong connection to Rosicrucianism as well as to the ‘Invisible College’, both strong philosophical currents during Freemasonry’s formative years – but no direct tie or link can be proven beyond enlightened speculation. New members as well as seasoned Masonic researchers often want to explore these areas in more depth and we’ve got a broad variety of books on these topics from which the seeker of knowledge can begin and progress in their studies. This is certainly an area in which one can draw many, many conclusions – and can find evidence pointing to their validity but without actual proof. If you’re beginning study in these areas, we encourage you to speak with Brethren who are knowledgeable about them. Many Masons, sadly, know little to nothing about these subjects and might even show disdain when asked about their relationship to the Craft. There are, however, a small number of Masons with an ‘esoteric bent’ who have studied various works and feel a strong connection to this area. 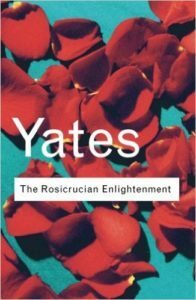 A highly recommended work for those first entering this area is ‘The Rosicrucian Enlightenment by Dame Francis Yates. It’s a great starting point for those seeking to learn more. 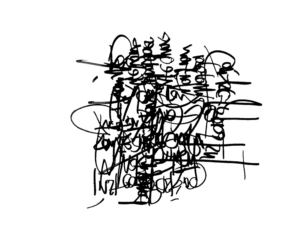 You can read and read and read – and STILL be totally confused about esoteric philosophy. Don’t feel badly: you’re in good company.